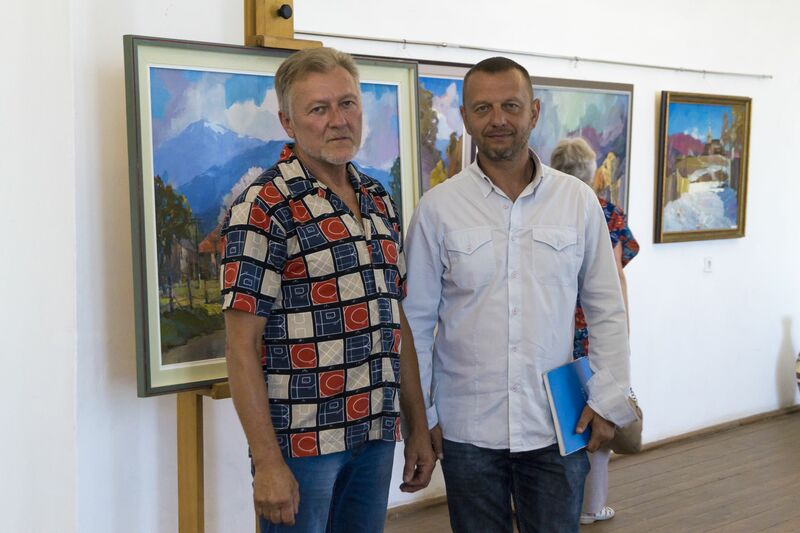 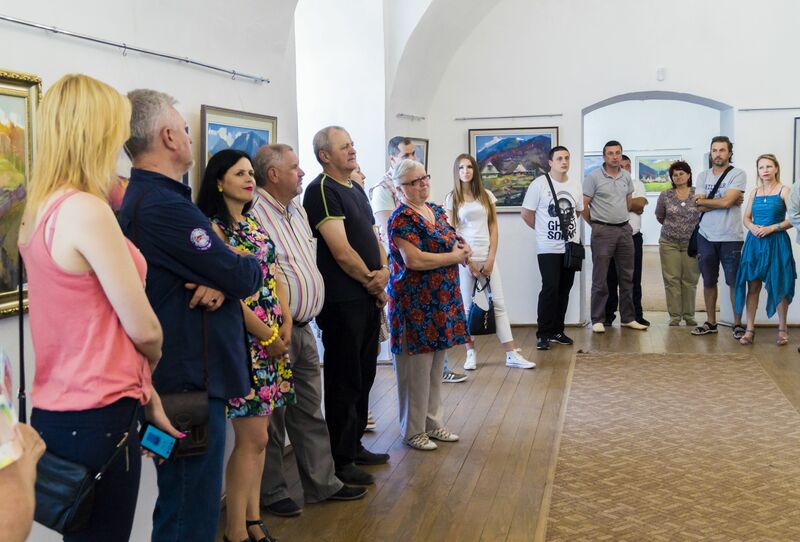 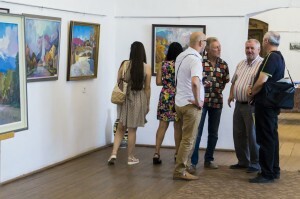 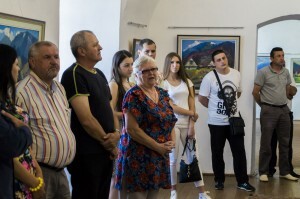 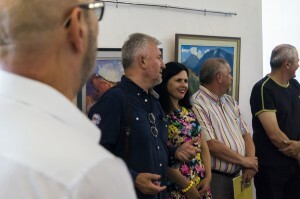 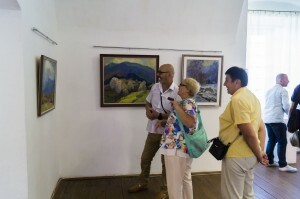 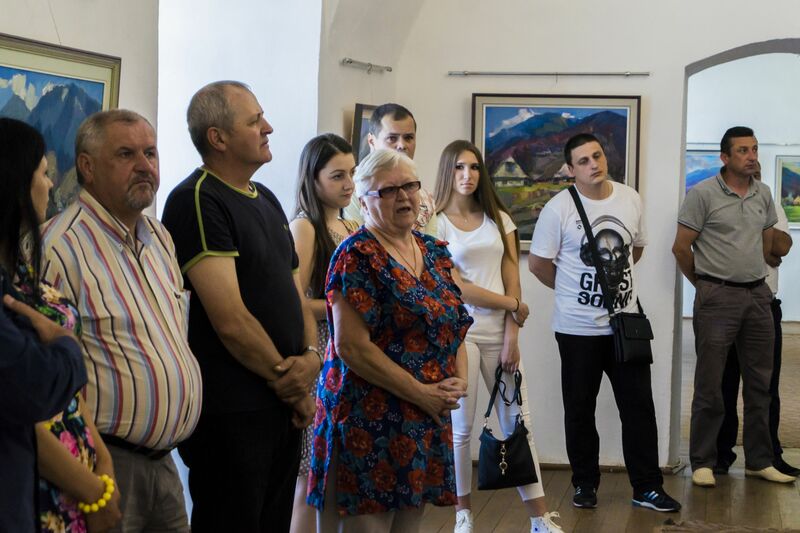 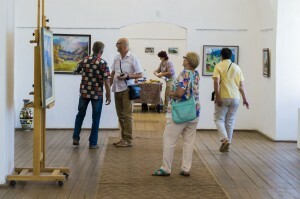 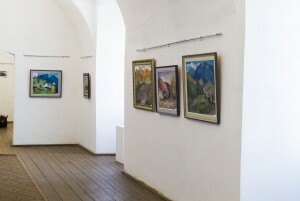 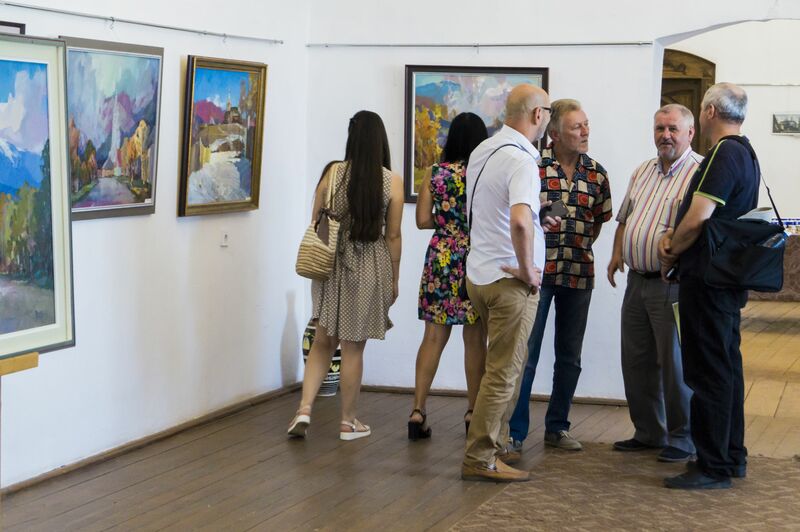 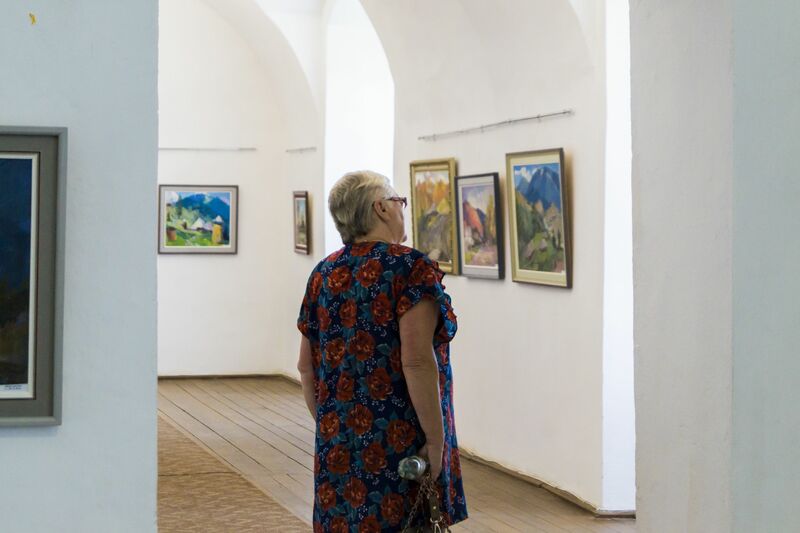 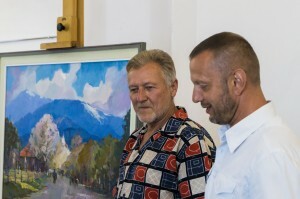 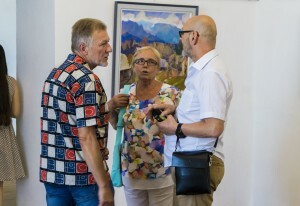 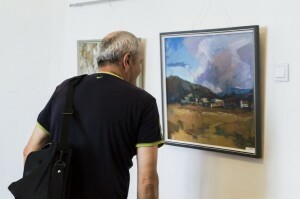 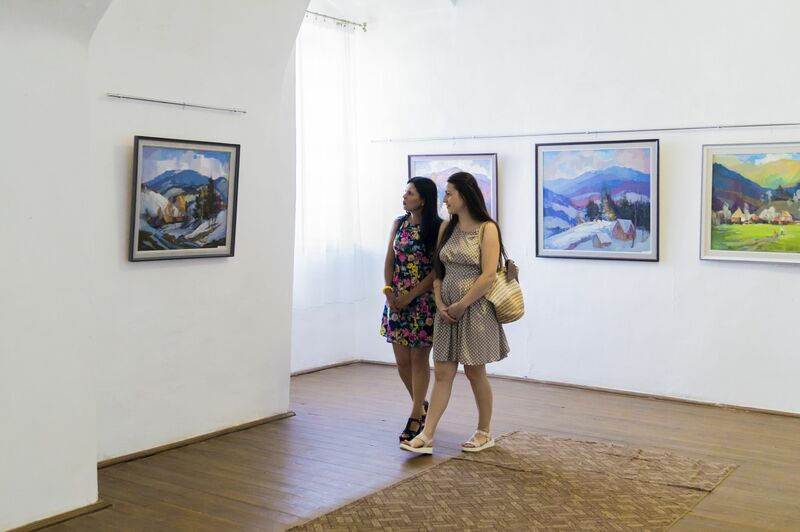 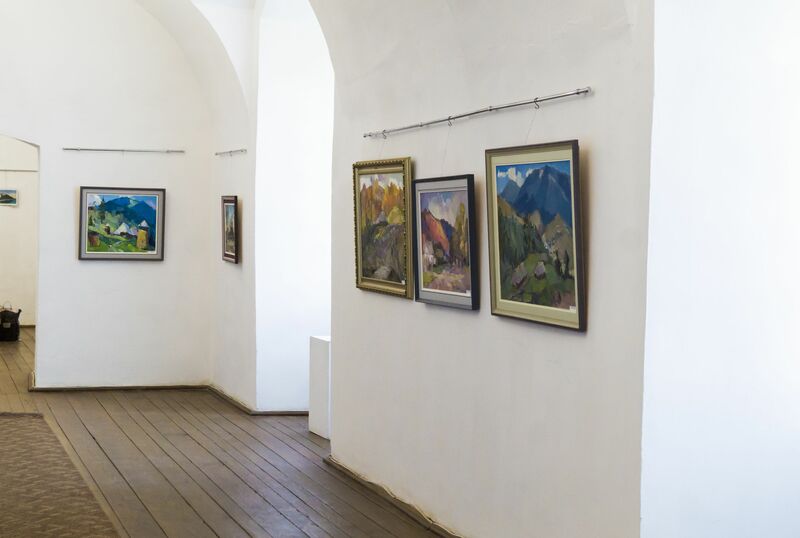 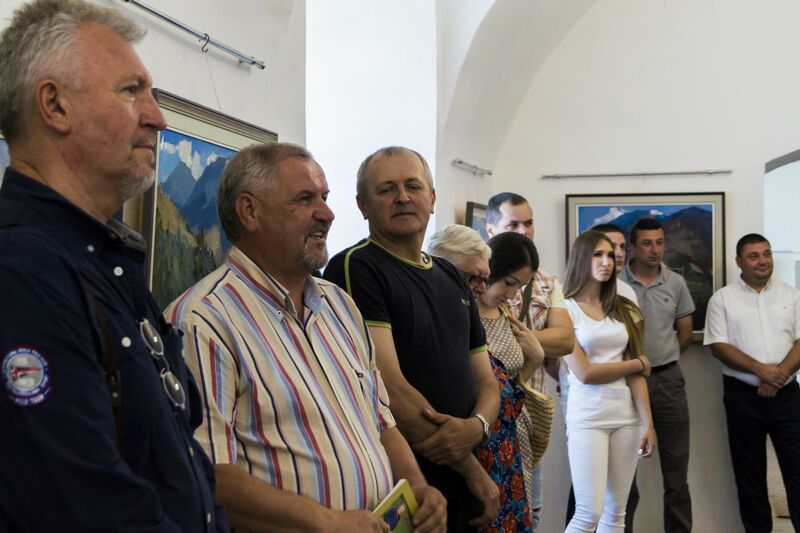 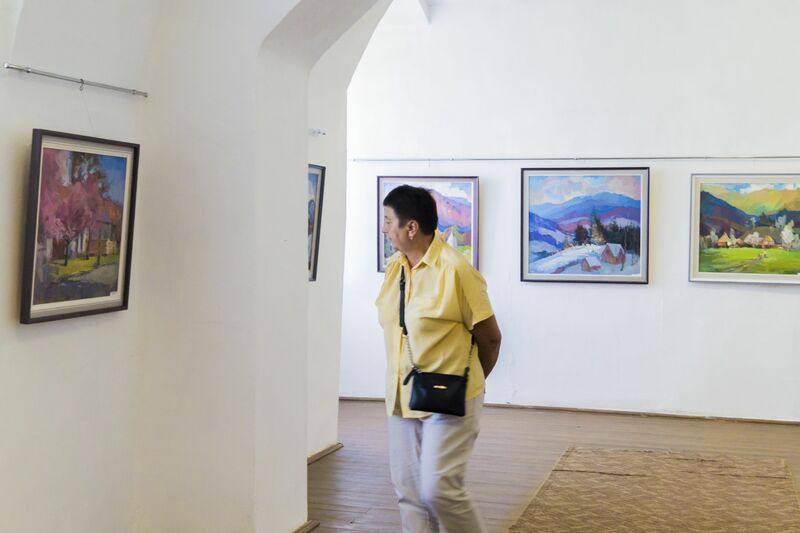 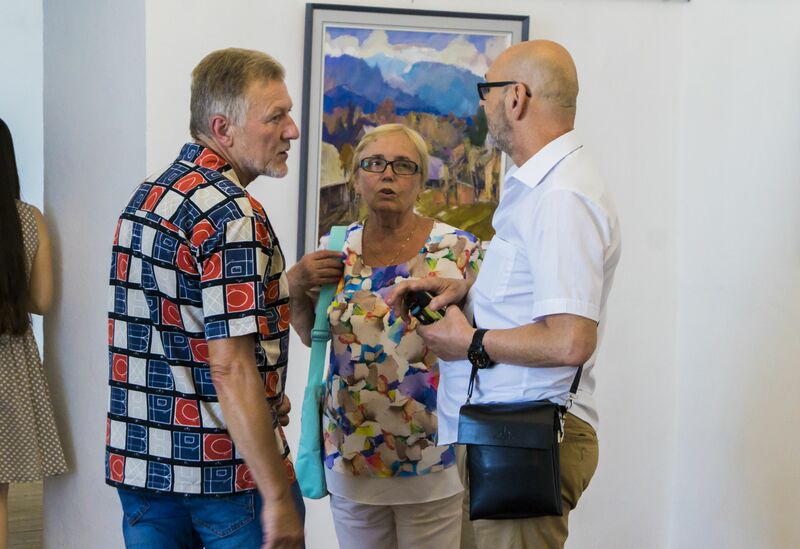 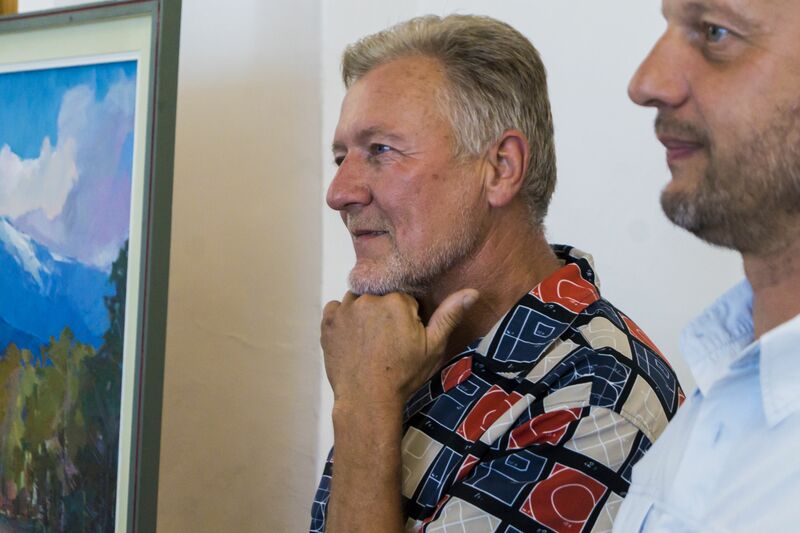 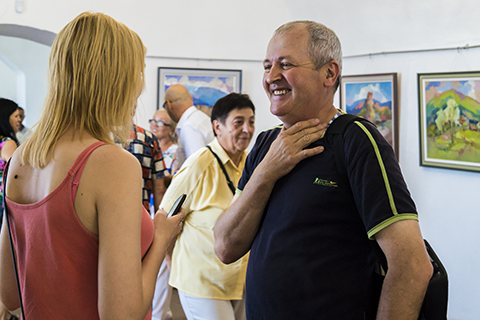 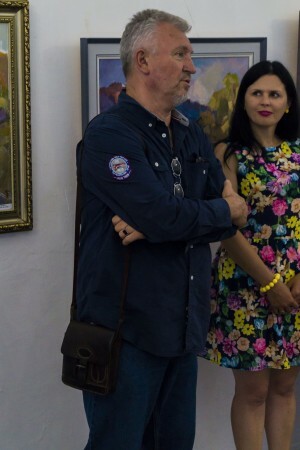 July 4, 2017 in the art gallery of the Mukachevo Historical Museum-"Palanok" castle it was opened a personal exhibition of the member of the National Union of Artists of Ukraine Vasyl Dub on the occasion of his 60th anniversary. 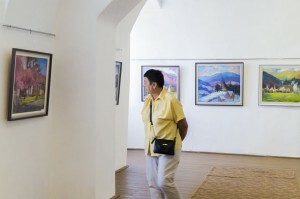 The exhibition presents 33 works of the artist, which illustrate his long creative period. 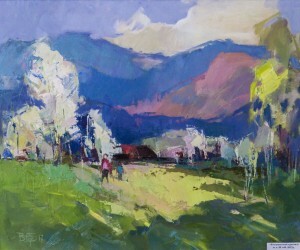 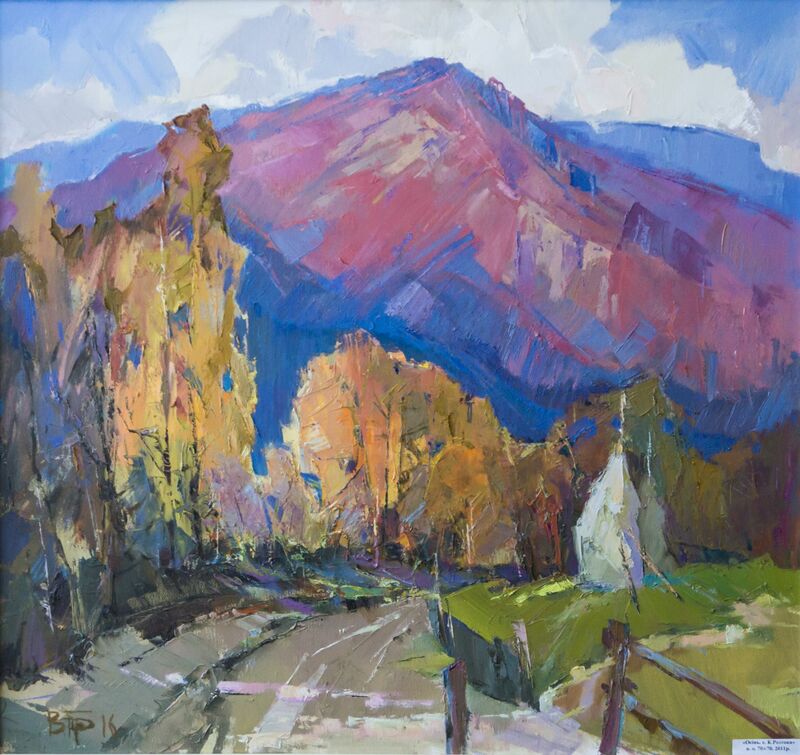 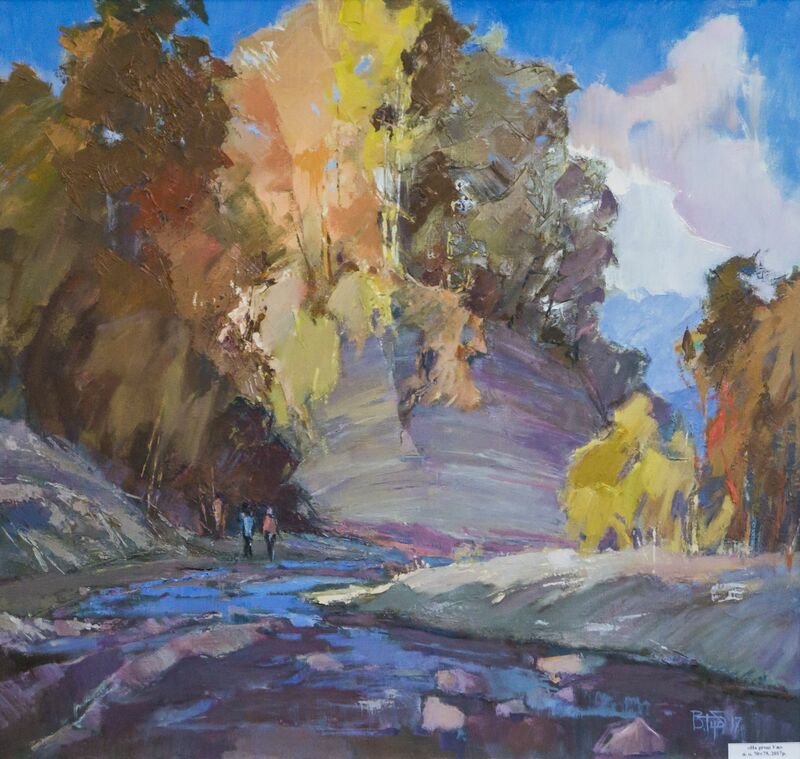 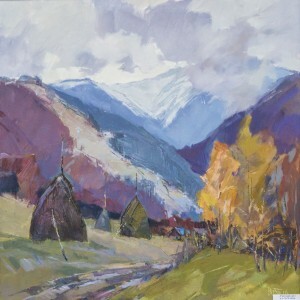 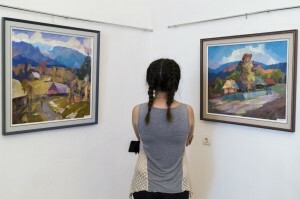 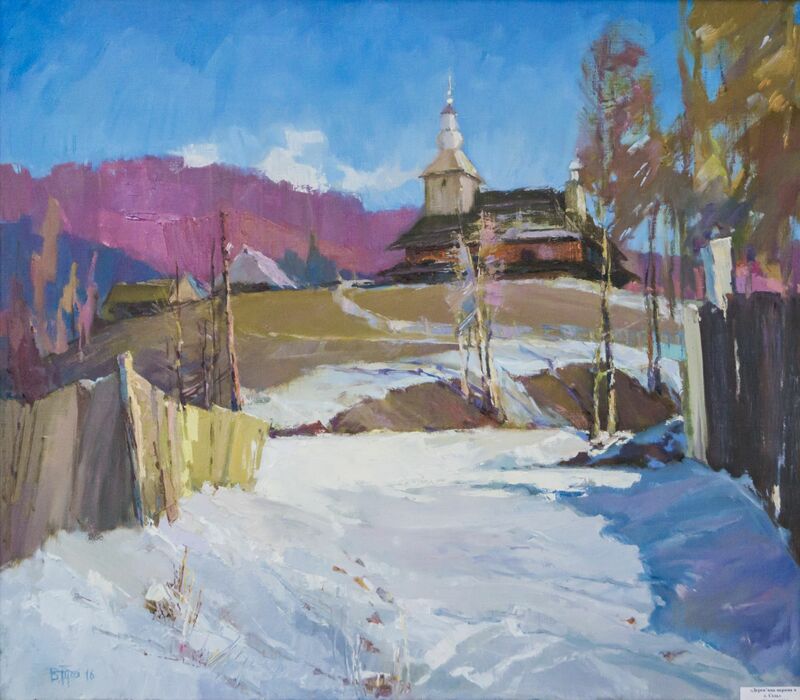 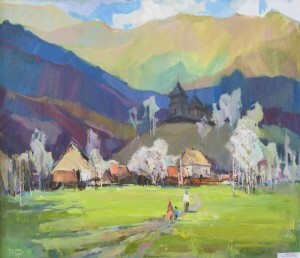 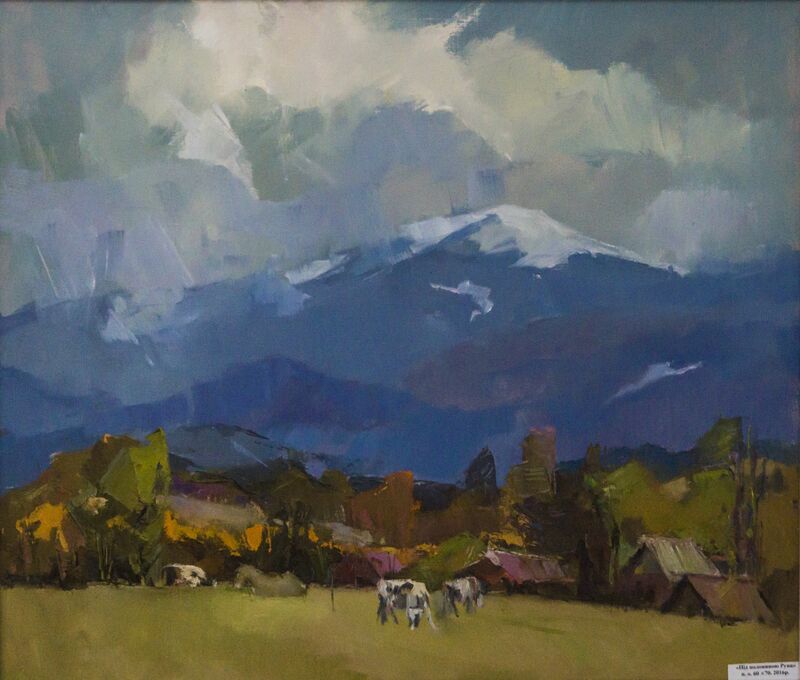 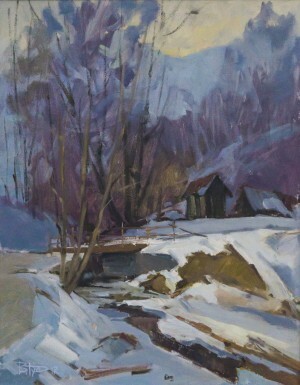 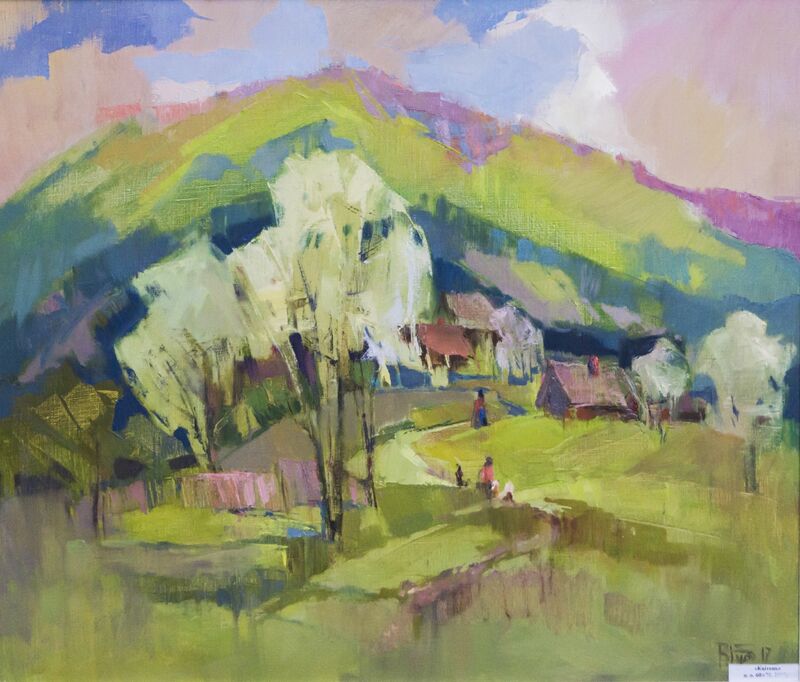 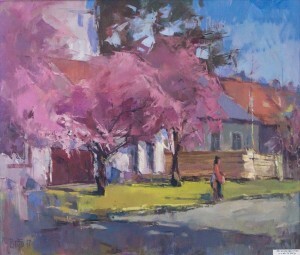 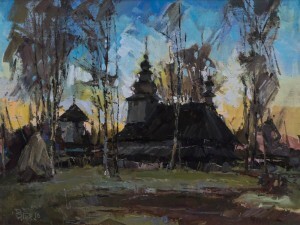 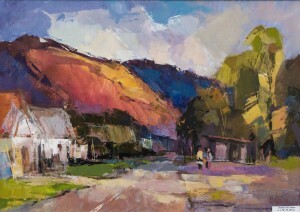 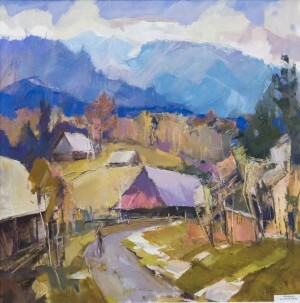 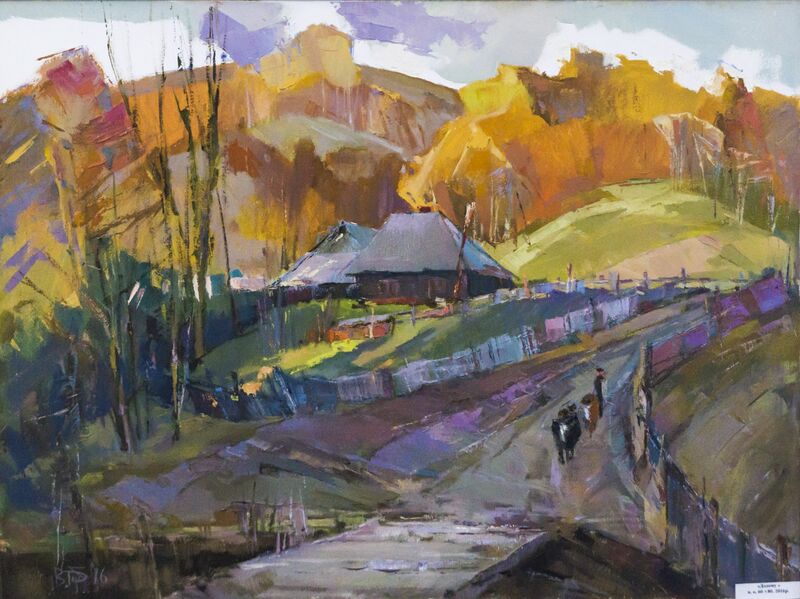 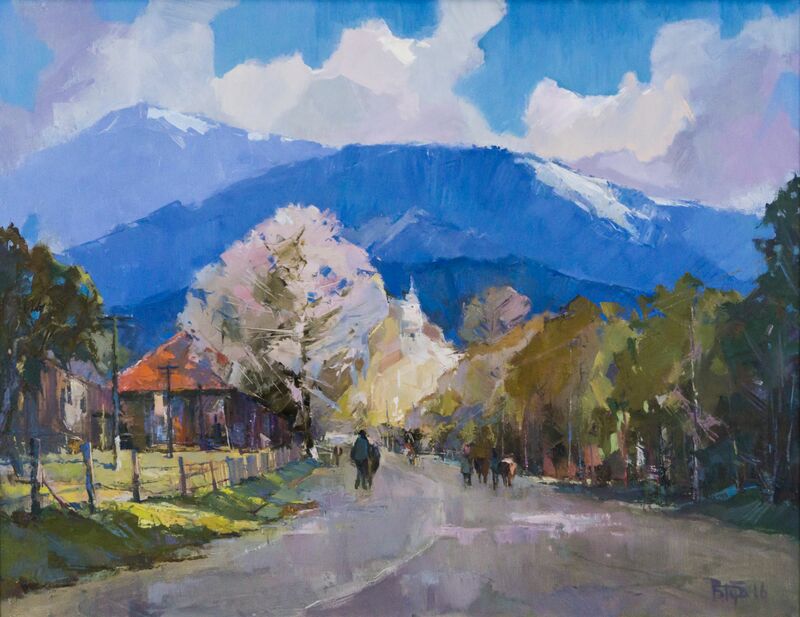 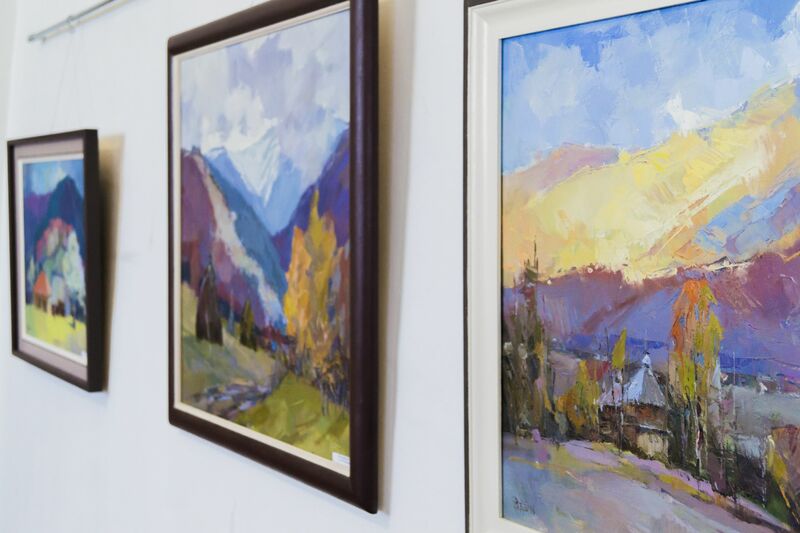 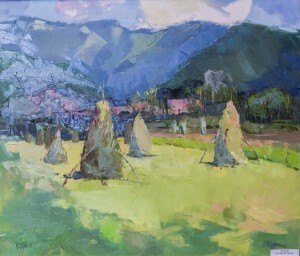 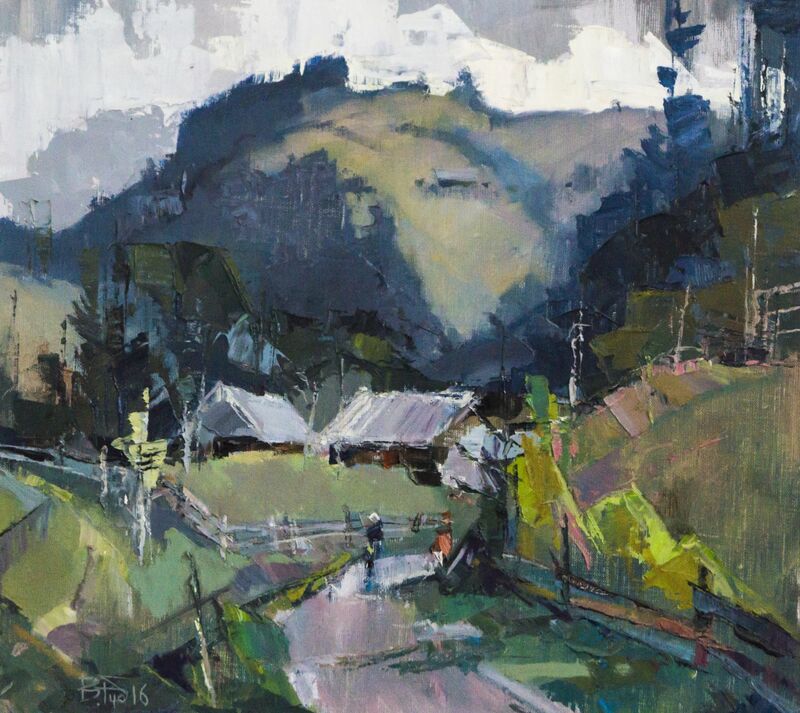 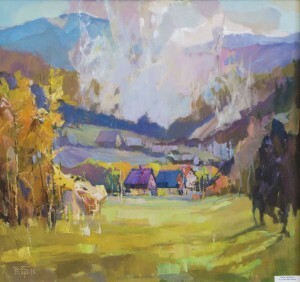 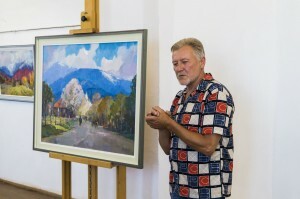 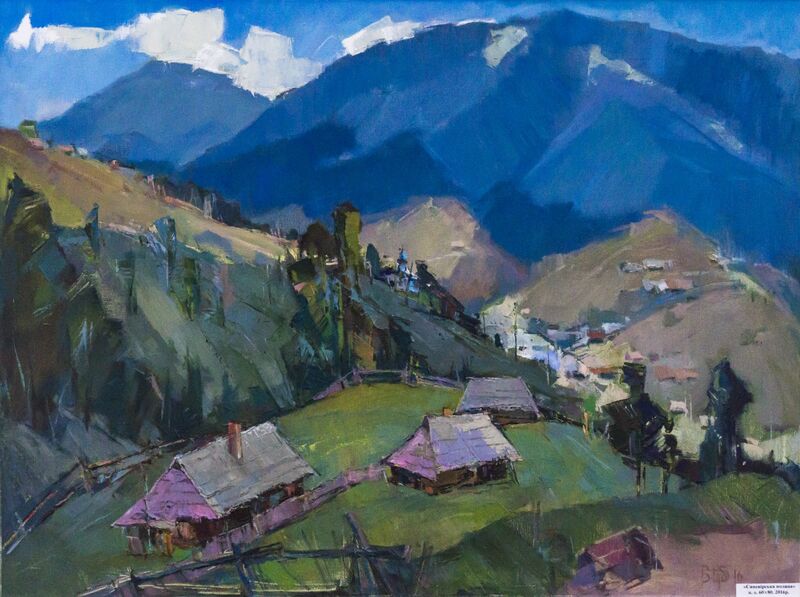 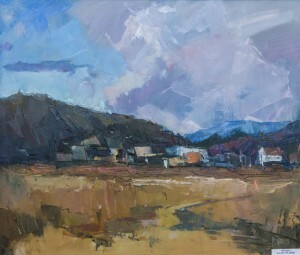 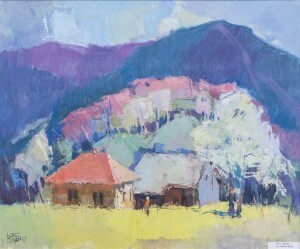 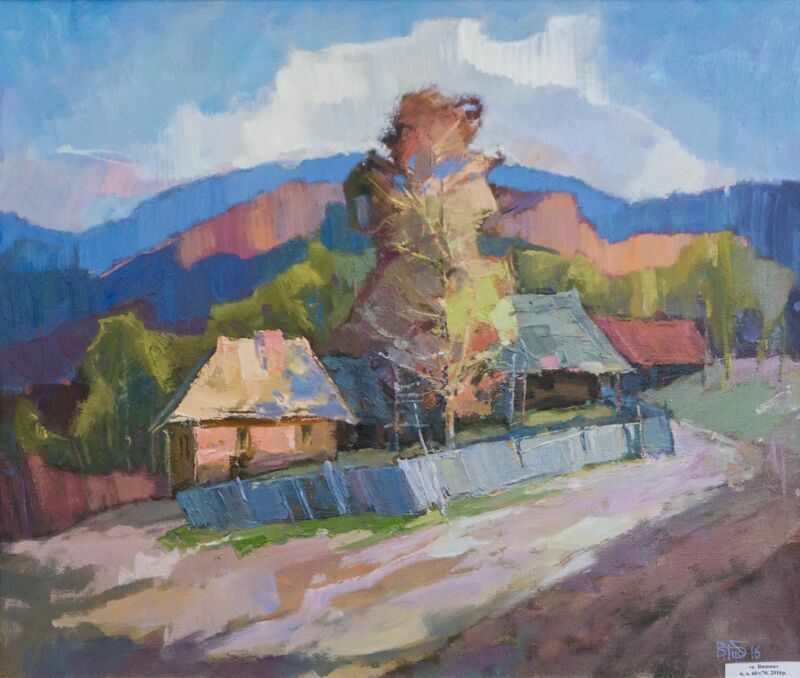 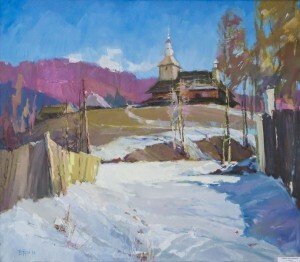 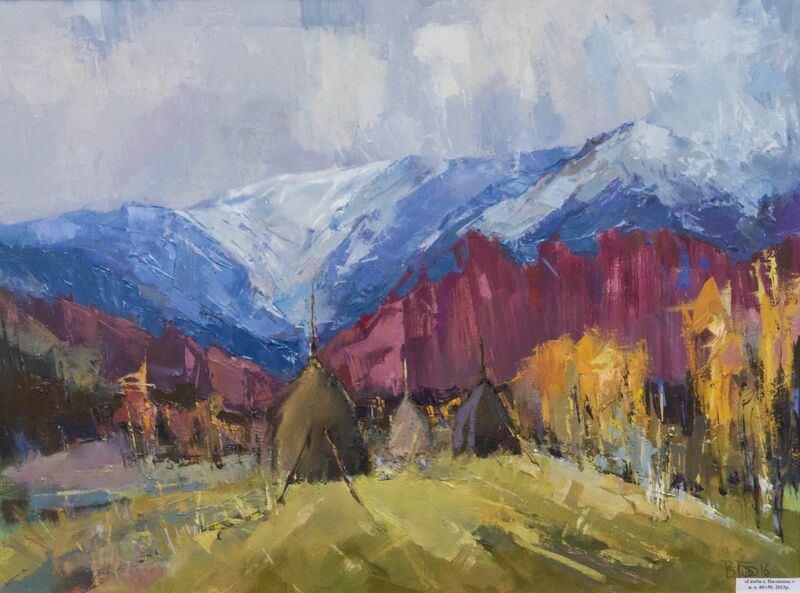 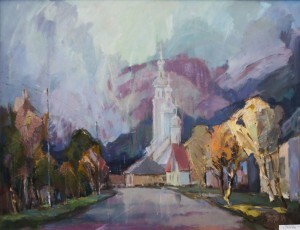 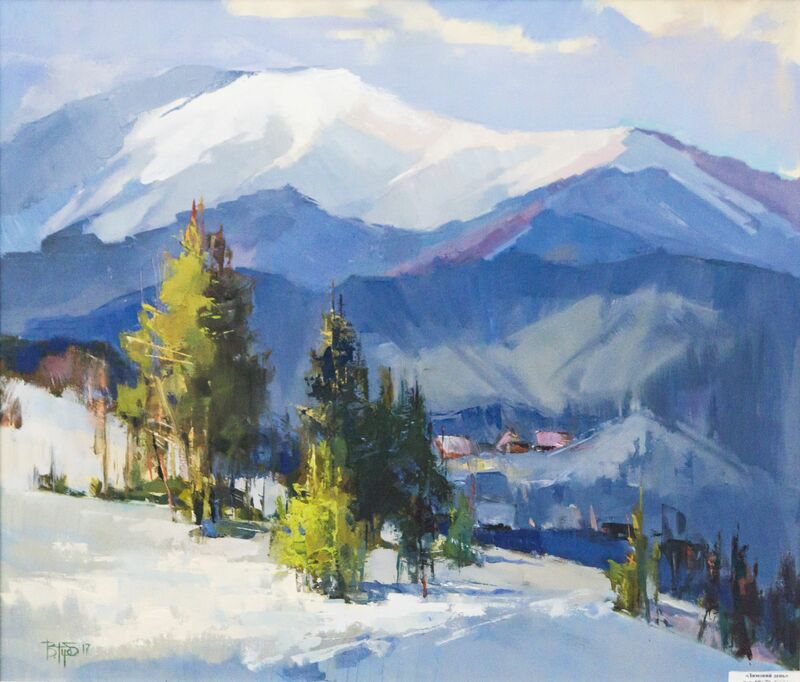 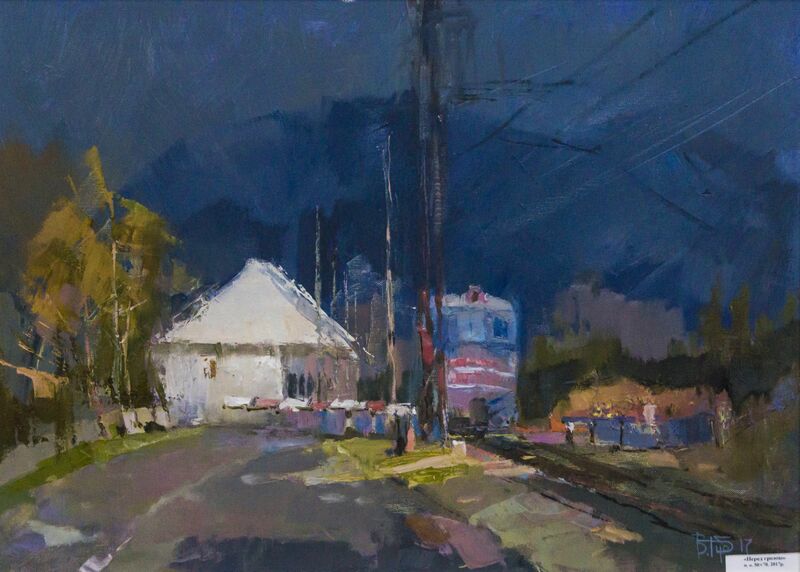 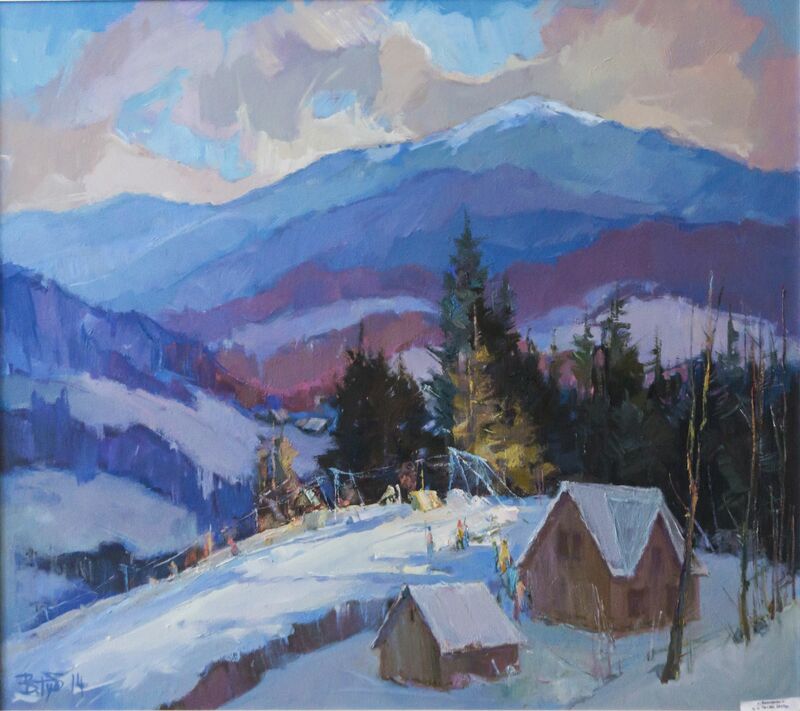 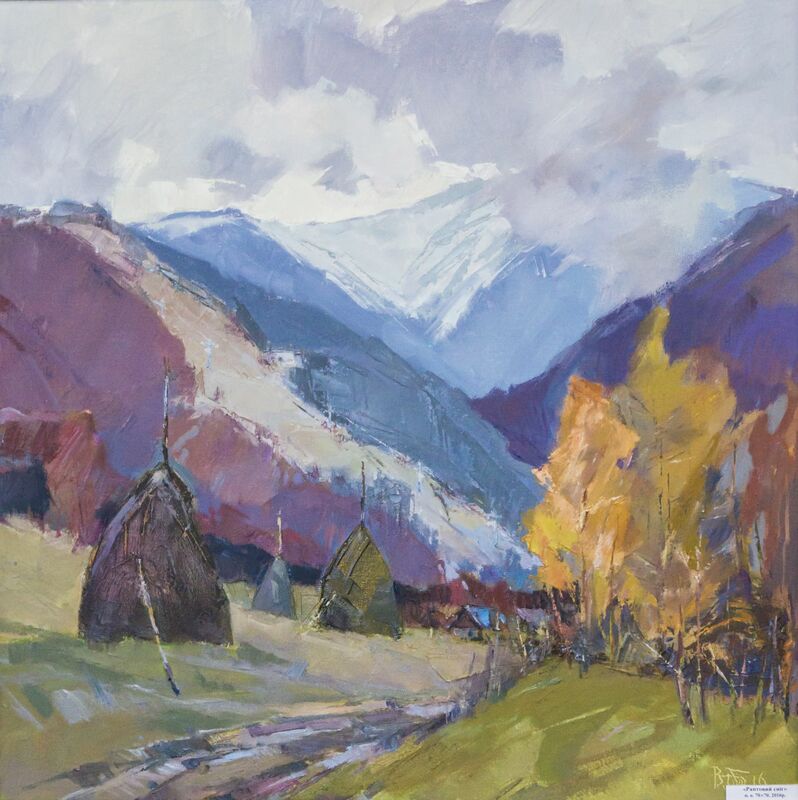 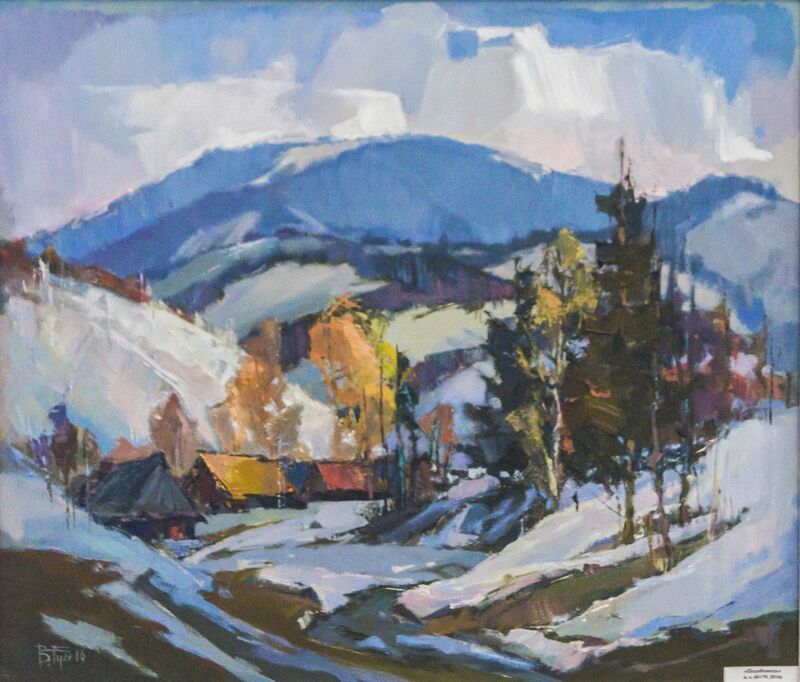 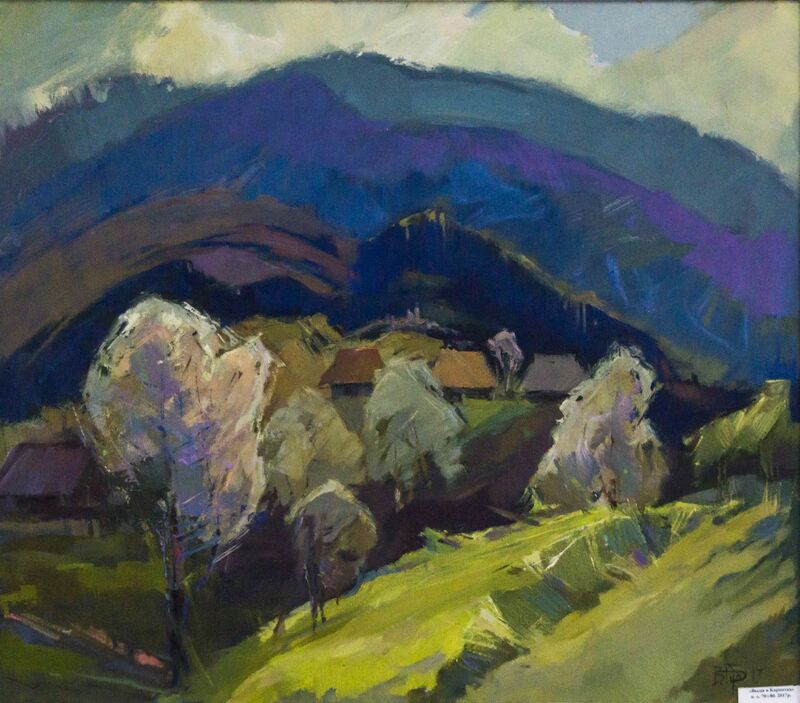 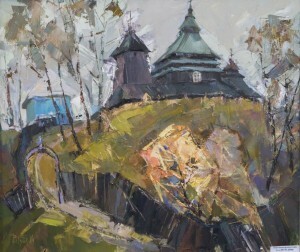 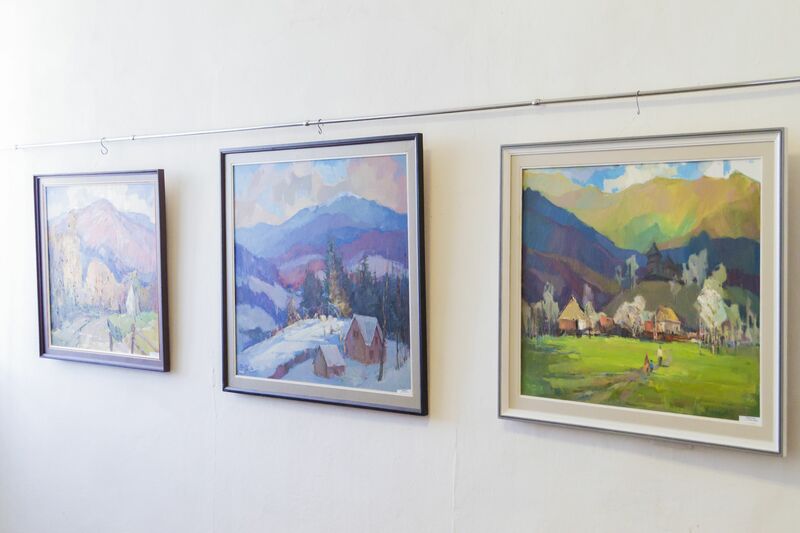 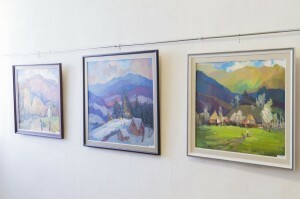 In the works of Vasyl Dub it is felt a significant influence of one of the classics of the Transcarpathian School of Painting Anton Kashshai, whose manner he tries to emulate. It is not surprising: “I am a citizen of mountains; therefore, mountain scenery prevails in my works. 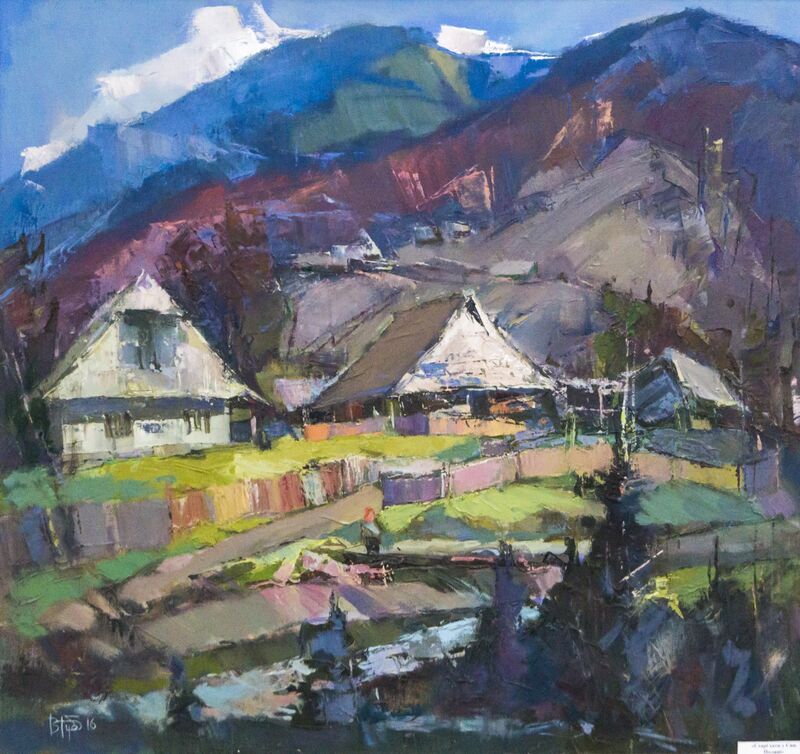 Stavne village, where I come from, it's a kind of “Transcarpathian Barbizon”-the coryphaei of the Transcarpathian school Gluck, Erdeli, Bokshai and Kashshai created there. 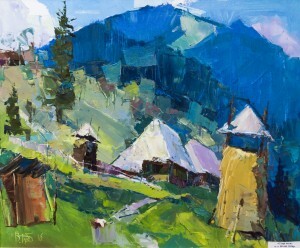 When a child, I also picked up tubes from paints after them which remained in the grass, it had no chance of happening. Obviously, energy also somehow influenced me,” Vasyl Dub told in the opening day of the exhibition. 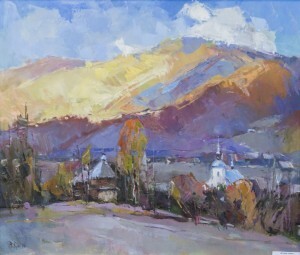 The artist notes that the creation of the painting depends on the mood-sometimes it is possible to complete the work in one step and sometimes it may take a month. 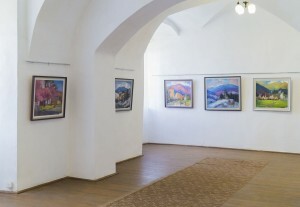 Often after the exhibitions, he finalizes the paintings, so at the next exposition they may look different. 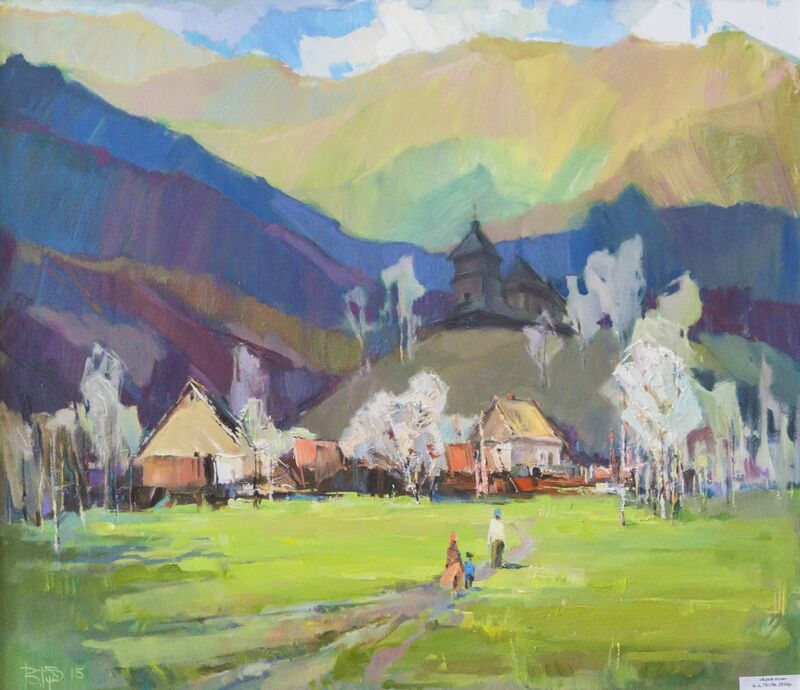 Vasyl Dub's canvases are rich and saturated, the game of light and colour immediately catches the eye-it was noted by all visitors of the exhibition. 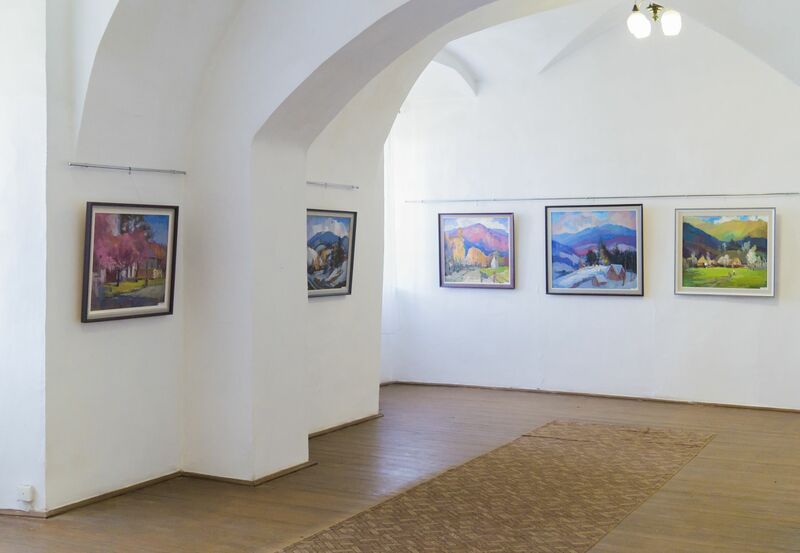 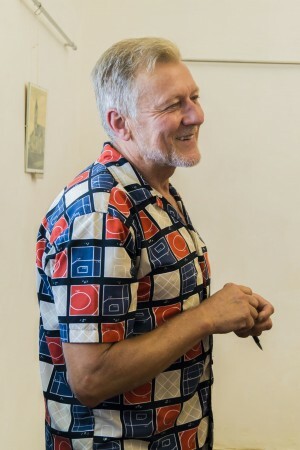 “My work will tell everything about me,”- with such words Vasyl Dub invites to view the exhibition, which will last for two weeks.